With the rapid development of modern industry and industrial upgrading, machine tool performances such as high machining speed, high machining accuracy, and high reliability have gradually become the development trend of high-end CNC machine tools. The vibration characteristics of the machine structure become an important factor affecting the machining quality and processing efficiency of the machine tool. Since the movable parts of the CNC machine tool will impact the machine structure itself during the acceleration and deceleration process, by identifying the structural vibration response signal, the modal parameters of the machine tool in the running state can be obtained, called active excitation mode analysis. However, this method still has certain defects in theory and experiment. For example, the excitation principle is not theoretically explained, and the excitation energy and the frequency band of the method are limited. 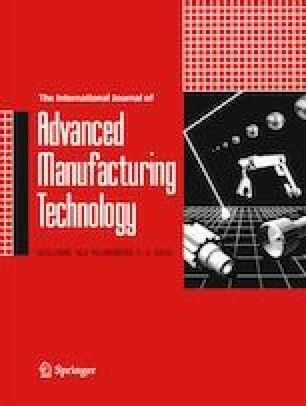 To solve these problems, this paper conducts more comprehensive research on the modal analysis method of CNC machine tools based on operational impact excitation. The main research contents are as follows: considering the rigid body motion of the table and the elastic collision of the screw nut pair, the impact excitation is modeled and analyzed. We have introduced a response-based modal identification algorithm. The influence factors of impact excitation energy and frequency band were studied from both theoretical and experimental aspects. Design three excitation sequences for workbench excitation and spindle excitation, respectively, analyze the vibration response and modal identification of the machine tool structure under different excitation sequences. It is verified that the method does not depend on the specific excitation sequence, as long as it satisfies the random characteristics. Aiming at the problem of insufficient excitation energy of the machine tool structure for single-component impact excitation, a multi-component joint impact excitation method based on the principle of multi-point excitation technology is proposed. The design experiment is carried out to verify the impact excitation method, which shows that the joint excitation has better excitation effect than single-axis excitation. The authors are grateful to the other participants of the project for their cooperation. The research is supported by the National Natural Science Foundation of China under Grants No. 51775212 and 51625502.